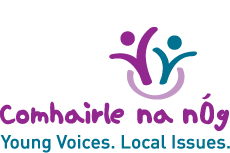 Carlow Comhairle’s primary topic for 2019 is mental health. They plan to develop a youth app for mobile phones. Carlow Comhairle’s primary topic for 2017 was LGBT Awareness. They put together a programme of LGBT peer-led leadership training with a focus on LGBT support and awareness in schools. Upon completion, the Comhairle members delivered the LGBT awareness raising workshops in schools. Here is a short video made by the Taoiseach Leo Varadkar to wish them well on their topic. 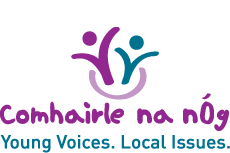 Carlow Comhairle na nÓg conducted a Countywide Needs Analysis in 2016 to identify and record the gaps in transport services and the impact this has on young people in County Carlow. We presented these findings and made representation outlining the young people’s concerns to key service providers and local decision makers. The aim of this topic of transport was to introduce an I.D. solution for under 18’s in Carlow in order to avail of affordable transport (such as student Leap card). Carlow Comhairle na nÓg have recently completed their work on the topic of mental heath, which had a particular focus on promoting happiness. Our aim was to create awareness of the ‘ten keys to happier living’ roadshow throughout the schools in Carlow, encouraging young people to be happy activists. In May 2015 we set up a Happy Café during school exams, which was a brilliant success. In 2013 Carlow Comhairle worked on the topic of bullying. We focused on the impact of bullying in schools and conducted research in all the secondary schools through a questionnaire we designed. Based on the results of this we will develop solutions and link in with local decision makers.